With the year almost at an end, assay results are still trickling through for workaholic juniors like Pursuit Minerals (ASX:PUR). 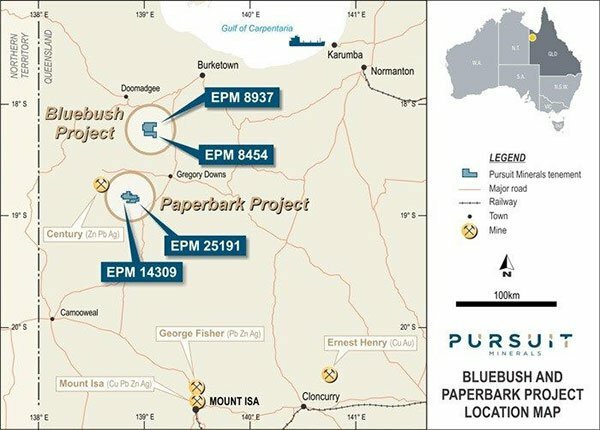 PUR is actively developing the Paperbark Project and the adjacent Bluebush Project in north-west Queensland with a view of building a zinc mining operation over the coming years. PUR was able to obtain last-minute exploration results before the end of this year and now expects to make significant progress at both projects next year. This past year has seen both base and precious metals rise in value on a broad basis, and therefore, expedited many polymetallic projects amongst Aussie juniors. Having acquired three company-making prospects earlier this year, and raising over A$6 million as part of a Reverse Takeover (RTO) deal in June 2017, PUR quickly moved to initiate rock-chip sampling and assaying. It should be noted here that PUR is a speculative stock and investors should seek profssio0nal financial advice if considering this stock for their portfolio. In a market update to shareholders, PUR has reported results obtained from its two separate drill holes at the Paperbark Project, in north-western Queensland, and says it’s 2017 drilling program is now completed. Drill hole PB02-17 intersected the down-dip extent of the copper oxide mineralisation located on surface at Grunter North, which PUR says contains a “target zone between 175m to 225m downhole depth.” This drill-hole was drilled into what is known as the Esperanza Formation and intersected various potentially significant geological formations such as the Yeldham Granite, which PUR says have “rare bornite mineralisation intersected”. Following today’s results, PUR believes that the northwest quadrant of the Bluebush Project has been confirmed as an area of enhanced zinc grade, with follow up drilling already planned for early 2018 to determine if this area of the Bluebush Project hosts a globally significant SEDEX style zinc deposit. In parallel, PB04-17 was drilled to a depth of 306 metres to test lead and zinc outcropping/mineralisation in the eastern section of the Stonemouse Prospect. Pursuit Minerals Managing Director Jeremy Read said overall the drilling program on the Bluebush and Paperbark Projects in 2017 delivered some very encouraging results which would be followed up with further drilling next year. “The results we obtained from the Bluebush Project have given us a real focus for drilling in 2018, on a well-defined area where the grade of zinc is substantially higher than the widespread zinc mineralisation across the Bluebush sub-basin. We are currently working up targets to test in 2018 with the objective of determining if a world-class zinc deposit occurs in this part of the Bluebush Project,” Mr Read said. The admitted goals of PUR’s exploration activities in Queensland are to investigate the variability and extent of the higher-grade zinc and lead mineralisation within its tenements and test the likelihood of PUR discovering substantial copper oxide and copper sulphide mineralisation in the area. The ultimate goal is to fold Paperbark and Bluebush into an economically-viable polymetallic Resource that can generate commercial quantities of zinc, copper or lead. 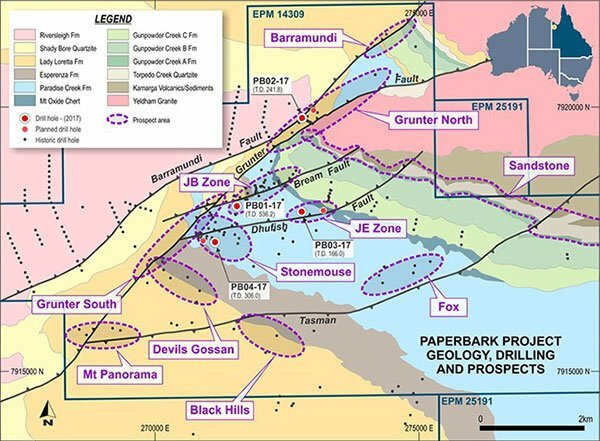 “At Paperbark we have made an exciting new zinc discovery at the JE Zone Prospect, which will be followed up with more drilling next year, while further drill testing of surface copper anomalies is required at Grunter North. We are looking forward to commencing drilling again in 2018 as soon as possible after the wet season,” he added. Following completion of acquisition of the Bluebush, Paperbark and Coober Pedy Projects from Teck Australia Pty Ltd, PUR has become a mineral exploration and project development company advancing copper and zinc projects in Australia. 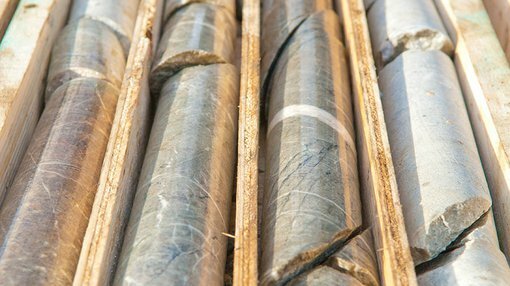 Having acquired zinc and copper projects in the heart of the Mt Isa Province, Pursuit Minerals is uniquely placed to deliver value as it seeks to discover world class deposits adjacent to existing regional infrastructure and extract value from its existing mineral resources.